Former sugar factory, now being used by some farmers. Collection of factory buildings, remnants of a factory town. The first steps which eventually led to the formation of Union Sugar actually took place in the San Luis Obispo (SLO) area. Seeing the need to provide better connections to the outside world, steamship operators named Goodell, Nelson and Perkins decided to build a narrow gauge railroad from a landing on San Luis Obispo Bay named Avila. The 8 mile railroad, first known as the SLO and Santa Maria Valley RR, was opened in August 1876. Later that year, the ship owners decided to incorporate the line as the Pacific Coast Steamship Company. They expanded their interests, including coal mining, logging, and other railroads, all along the Pacific coast and in 1881, formed a holding company called Oregon Improvement Company to control everything. That same year, they changed the name of the railroad at SLO to Pacific Coast Railway, and began extending it south. Service began to Central City (eventually renamed Santa Maria) on June 1, 1882. The Southern Pacific Railroad was slowly extending its track southward down the coast also. It reached San Luis Obispo in 1894, and Guadalupe the next year. The Oregon Improvement Co. and its subsidiaries fell into difficulties and were reorganized in 1897. The manager, John L Howard, joined with others, the most notable of whom was E. C. Burr of the Alameda Sugar Co., to form the Union Sugar Company, incorporated Sept 27, 1897. The name was supposed to represent the union of interests of San Luis Obispo and Santa Barbara Counties, and the project was probably designed to increase freight traffic on the Pacific Coast Ry. Mr Howard was named President, and Mr Burr was manager. Other directors were George Collins, L. C. Marschutz, and James Coffin. Capital was set at $1,000,000. A factory site of 200 acres was bought about 4 miles west of Santa Maria and about 4100 acres of farm land were also purchased. The intention was to have the factory ready for the 1898 harvest and machinery was ordered from Marschutz and Cantrell. Unfortunately, drought conditions prevailed that year over much of California and it was decided not to complete the factory until the following year. In the meantime, railroads were built to the site, named Betteravia, after the French word for sugar beet (betterave, literally "sweet root"). The Pacific Coast Ry built a branch from a point 2 miles south of Santa Maria in 1898, and the Southern Pacific built one from Guadalupe, finished in July 1899. By this time, the factory was nearing completion with Mr. J. Stut as engineer in charge. A large hotel was also built for the factory workers. One hundred artesian wells with pumps were installed to irrigate the farms and combat drought conditions. A total of 6500 acres of beets were planted. However, the drought and leaf blight hurt the crop to the extent that only 3000 acres were harvested, producing 16,000 tons of beets. The factory began operating September 20 and ran a total of 70 days. 1607 tons of sugar was produced for the season. The next year was also disappointing. The factory ran from September 10 to November 10 but the supply of beets was so small that the average slice was only 350 tons per day as opposed to the design capacity of 500 tons/day. Things were improving in 1901 as 3465 acres were harvested, producing 35,900 tons of beets which made 3500 tons of sugar. The factory operated 108 days starting September 3. In 1903, the figures increased to 5484 acres, 62,000 tons of beets, and 8,000 tons of sugar. The factory operated from mid July to mid December. Hundreds of Japanese field workers were being used to help grow the beets. To increase the harvest even more, prizes were offered to the farmers having the highest per acre tonnage, with the top prize being $600. A huge new Corliss engine with a capacity of 4500 gal/minute was installed and was supposed to be able to irrigate 15,000 acres. The narrow gauge Pacific Coast Railway built a branch east of Santa Maria to reach new beet fields, and started on another branch to the factory further north than the first one. This was eventually extended west to Guadalupe in 1909 and electrified to aid in moving workers to the factory. A third railroad, the Santa Maria Valley RR, was built in late 1911 from Betteravia through Santa Maria to beet fields and oil fields to the east. Oil discoveries, starting in 1902, aided the local economy. In 1937, the first well was drilled on Union Sugar company land and by 1945 there were 20 wells. As the land devoted to beets increased, the capacity of the factory had to be increased as well. By 1908, capacity was doubled to 1000 tons sliced per day. By 1926, it was up to 1400 tons/day. In 1920, a Steffan plant for extracting more sugar from molasses was built. The American Sugar Refining Company (AKA "The Sugar Trust") thought enough of the Union Sugar Co. to buy a half interest in it and in the affiliated Alameda Sugar Company by 1907. The Trust was beneficial, providing capital and expertise. Things were prosperous through 1920, especially during World War I when sugar prices were high. Mr. J. W. Atkinson, long time manager, retired in May 1918. However, the 1920's were not kind to the beet sugar industry in California. Sugar prices dropped due to world wide over production. California was gripped by a drought for most of the years starting in 1918, with a disease spread by the "white fly" also cutting yields badly. Seven California factories closed forever between 1918 and 1925. Five others were closed for part of the 20's. Among them was Union Sugar, which was able to operate through the 1927 campaign but closed its factory for the 1928 through 1933 seasons. During this time, beets grown on company land were sold to the Oxnard factory of American Beet Sugar Co. The Union Sugar factory resumed operation in 1934 and production steadily increased. The narrow gauge Pacific Coast Ry abandoned its branches to Betteravia in 1937 and closed entirely in 1941. 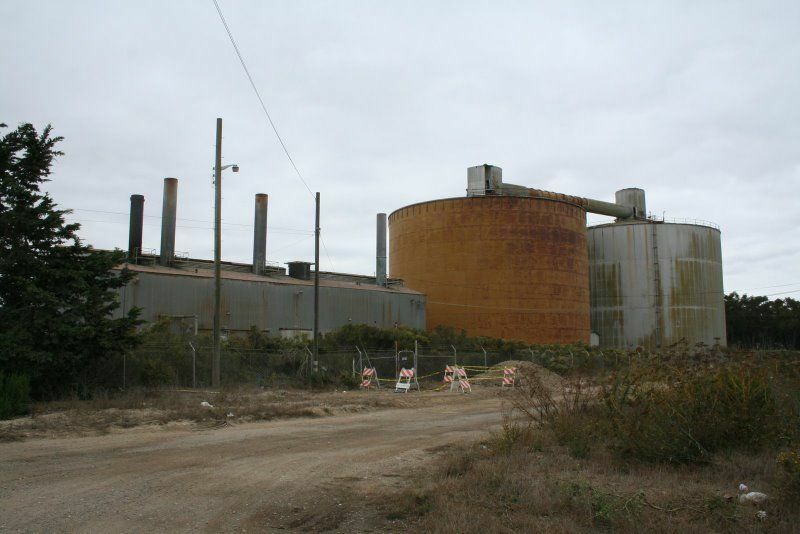 Although the Steffan plant was shut down after 1939, capacity of the factory increased to 2200 tons of beets/day in 1940, 2800 by 1947, 3800 by 1958, 4800 by 1970 and 5600 by 1982. An aggressive new management team led by a Roland Tognazzini took control about 1940 and opened up new beet territory in the Lompoc, Salinas, Cuyama, San Juan, San Joaquin, and Imperial valleys, relying on rail transportation. The local area was no longer able to supply the beets needed for an efficient large scale operation. The different growing areas had different harvest periods, enabling the factory to operate for extended periods through the year. The new owners brought in R. S. Stewart as factory manager, replacing E. F. (Doc) Ogborn. In 1970, about 183,000 tons of sugar was produced, in sharp contrast to the first campaign in 1899. In September 1951, Union Sugar Co. was purchased by the Consolidated Grocers Corp. This was a large and growing conglomerate which became Consolidated Foods Corp. in 1954 and eventually Sara Lee Corp. The Union Sugar name was kept as an operating division with headquarters in San Francisco, as it had always been. In June 1986, Holly Sugar Corp. purchased the Betteravia factory to add to its California operations. This in turn became Imperial Holly in February 1988. On March 18, 1988 the factory suffered its worst disaster when a dust explosion and fire burned 8 workers, 7 critically. Declining sugar beet acreage throughout California led to the decision to close the factory after the spring-early summer campaign of 1993. Some of the factory was demolished in 1997 (and what is left in 2001 is pictured here). This location's validation is current. It was last validated by Steed on 7/13/2011 8:58 AM. This page was generated for you in 78 milliseconds. Since June 23, 2002, a total of 574105143 pages have been generated.